Brad Gilbert - ESPN Press Room U.S.
Former player-turned coach and author Brad Gilbert is an analyst on ESPN’s extensive schedule of tennis programming, including ESPN’s current start-to-finish coverage of three Majors – the Australian Open (since 1984), Wimbledon (since 2003, exclusive since 2012) and the US Open (since 2009, exclusive since 2015). 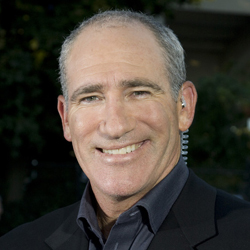 He joined ESPN in 2004 and serves as a studio analyst, match analyst and sideline reporter. After leaving to return to coaching rising star Andy Murray of Scotland in 2006, he came back to ESPN in 2008. A California native, Gilbert played professionally 1982-95, winning 20 titles and reaching the finals of 20 other events. An All American and the NCAA singles finalist in 1982 while at Pepperdine, he went on to compile an overall 519-288 record. From 1985-91, he finished in the top 20 six of seven years, including two consecutive years in the top 10 (1989 – #6, 1990 – #10), and was ranked as high as #4 (during the 1990 season). His best Grand Slam performances were quarterfinal appearances at the US Open in 1987 and at Wimbledon in 1990. Gilbert won the Bronze Medal at the 1988 Olympics in South Korea and had a 10-5 Davis Cup record. After his playing career ended, Gilbert coached Andre Agassi for eight years (1994 – 2002). During that time, Agassi won six Grand Slam titles and an Olympic Gold Medal and reached #1 in the world for the first time in his career. Gilbert later coached Andy Roddick to a US Open title in 2003 and the top spot in the rankings. Gilbert’s web site, bradgilberttennis.com, has everything from his thoughts on the top players and emerging new talent, technique tips and suggestions on where to eat on the tour. An avid Oakland Raiders fan and father of three, he resides in his native Bay Area.